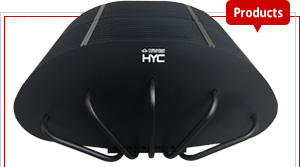 Products and technology : Heat Diffusion and Cooling Products : FURUKAWA ELECTRIC CO., LTD.
New information on our latest product “HYC 500” for 500W LED module is now available. This solution allows the replacement of heat diffusion components processed using die-cast or extrusion methods with lighter and more compact alternatives. 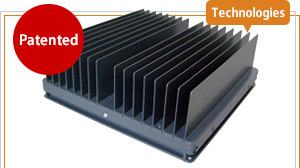 This heat transfer device utilizes latent heat. Using heat pipes improves heat diffusion performance and as a result it becomes possible to keep use of fans to a minimum, achieving energy savings. 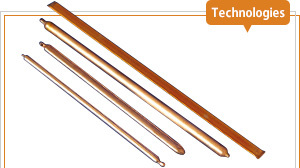 This is a heat diffusion and cooling solution that is outstanding at transferring heat from the heat source vertically using heat pipes and thereby dispersing heat. This is a heat diffusion and cooling solution that is outstanding at transferring heat from the heat source horizontally using heat pipes and thereby dispersing heat. 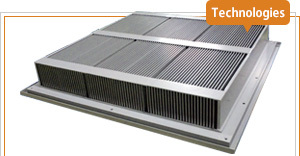 This is a heat exchanger that uses heat pipes to keep use of fans to a minimum. 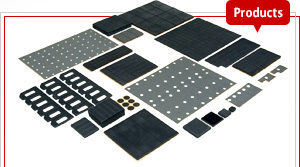 This is a non-silicone thermally conductive sheet that has a high rate of heat transfer and outstanding flexibility. It provides solutions for contact failure in electronic products. 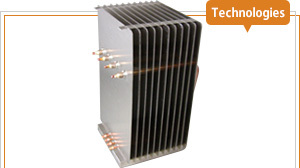 The HYC series designed for LED module cooling draws on the heat dissipation/cooling technologies and expertise in electronics products that Furukawa Electric has developed over many years. In order to provide our customers with the best solutions, Furukawa Electric uses simulations to investigate heat diffusion design and carries out various reliability tests. 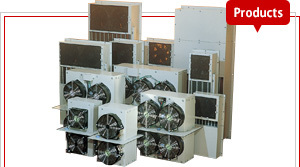 Introduces the heat diffusion and cooling products of Furukawa Electric Co., Ltd.